Unable to fetch the objects from Windchill into Navigate mashup. Thingworx Navigate is configured with SSO (single sign on) pingFederated. Common tailoring page for Part Apps and Document Apps shows red symbol with no attributes fetched from Windchill. Browser reports following error "We can't find any objects that match your search criteria. 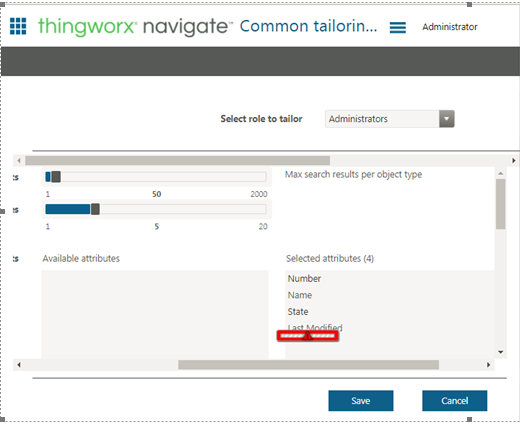 Try changing the search criteria and searching again" while searching objects from navigate mashup. Successfully executed the Validate Connection service with message Success - 200-OK - WindchillSwaggerConnector from ptc-windchill-integration-connector.